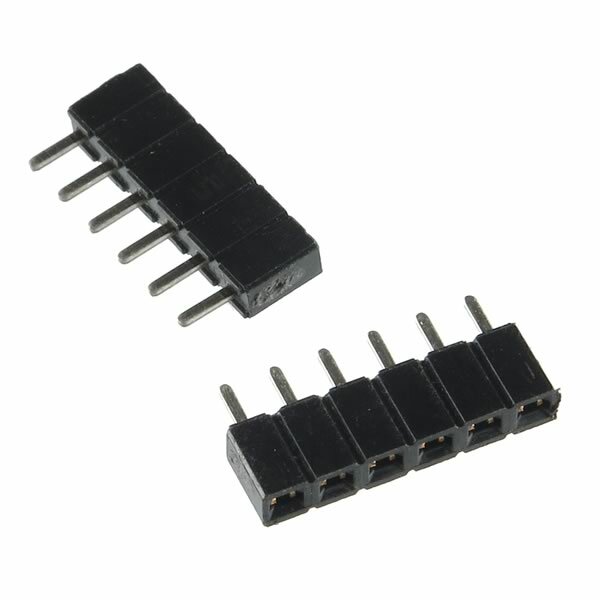 Female 6 position header connector/socket has standard socket pins for mounting to PC board. Has standard 0.1" pitch. Sold in a package of 10.